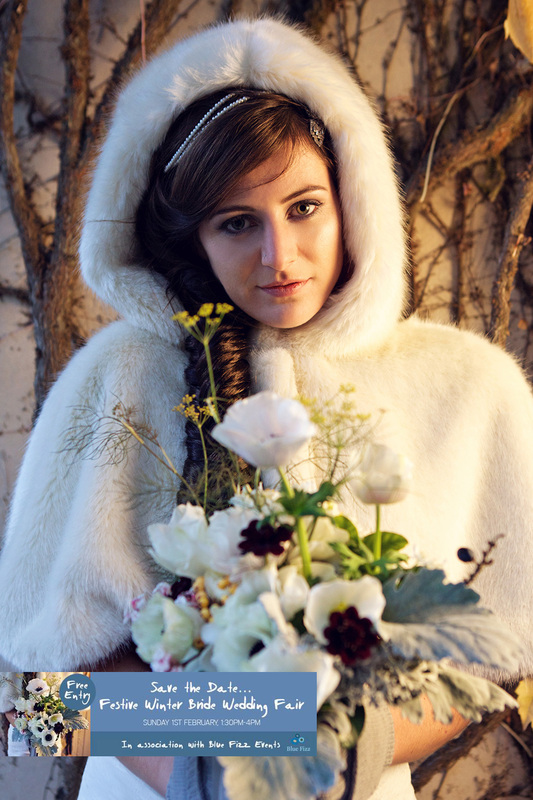 This wedding fair will be oozing in wintery ambience, and beautifully lit with candlelight and roaring open fires. Expect a fabulously warm welcome, with a glass of cranberry spice cider or prosecco on arrival, as well as a wonderful hot coco bar from Camper Coffee Co.
Let your imagination run wild with the fabulous selection of suppliers showcasing their winter wedding inspired products and services. With winter melodies to keep you warm too… how could you resist this event?! Visitors to the fair will be greeted with Deer Park canapés including sausage and mash, crostini of Sharpham goats cheese with redcurrant jelly and Brixham smoked haddock with chive bon bons – all courtesy of the wedding venue. Call 07845 147563 or email enquiries@bluefizzevents.co.uk for exhibitor and visitor enquiries. Images by Elizabeth Armitage Photography.